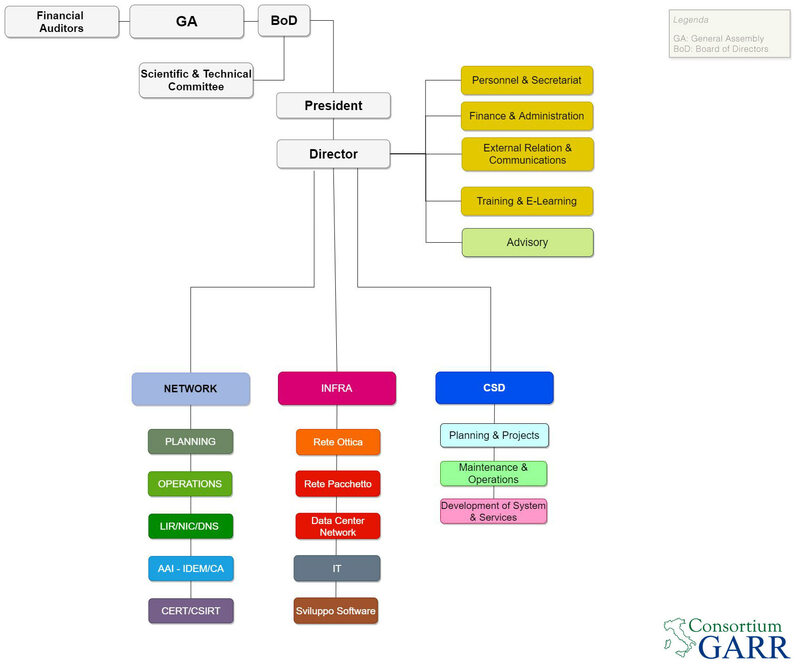 The GARR network interconnects with other networks at the local, national and international level, to facilitate data exchange between the research and education community and its partners. In addition to the usual connections with international research and education networks, it is worth mentioning several peerings with major commercial networks and with the networks managed by local public administrations such as Regions and Municipalities. An IXP is a network through which operators connect their backbones to each other, realizing part of the meshing of the Internet. Since the Internet is given by the composition of many networks, it is necessary that each portion be connected to the others. The connection between them can be done with pinpoint circuits or through an IXP that allows, with a single circuit, to realize the interconnection of a network with, potentially, all the others already present on the IXP.